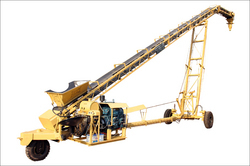 We are listed among the leading Manufacturers, Suppliers and Exporters of Concrete Placer from Saharanpur, India. The Concrete Placer, designed by us, comes with a robust mechanism, high quality polish and specialized features. Concrete Placer Pumps: are to be used for placement of concrete. Placer pump can convey small extent of concrete large numbers of individual working points, distant sites with nominal workshop facilities. A placer pump can do the job of a piston pump at a fraction of its cost. - Placer that makes it easy to drag concrete when pouring slabs. 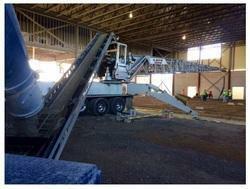 The concrete is deposited in or very near to its final position.